YACHTING HOME PAGE EDITORIAL >> YACHTING >> TENDERS AND LEISURE > J CRAFT > TORPEDO "R- PACK"
The J Craft Torpedo is a beautifully styled, hand built motor launch, reminiscent of 60s era Riviera chic but incorporating modern technology and a superior performance package. 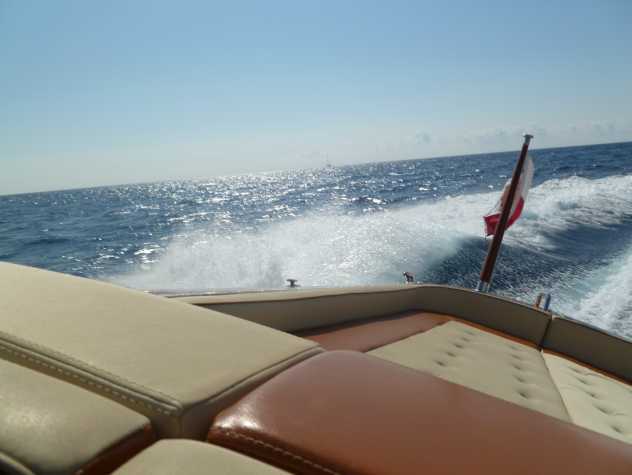 Requiring in excess of 5,000 man hours to build, each J Craft is meticulously designed and painstakingly hand crafted to the utmost standards of quality that is unmatched by any other day boat manufacturer. Not only is the Torpedo stunning to behold, she is unrivalled in terms of performance. 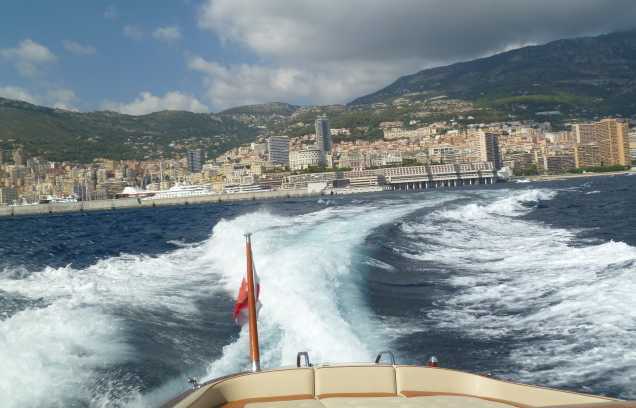 At 42 feet, the Torpedo day boat is able to achieve a 44-knot maximum speed. Owners can select their preferred performance package of twin Volvo-Penta IPS400, IPS500 or IPS600 pod drives. The Volvo Inboard Performance System allows for incredible manoeuvrability, making the Torpedo easy to handle in even the tightest harbour. Its intuitive joystick control means that the craft can move sideways and even turn 360 degrees in its own length. The Torpedo is supremely solid and stable, allowing her owners and guests to wake up to breakfast in Monaco and easily cruise to Porto Cervo for late lunch. Expertly handling all Mediterranean sea conditions, the Torpedo has also been proven on the rough South China sea, making the crossing from Hong Kong to Hainan and back in around 18 hours each way. 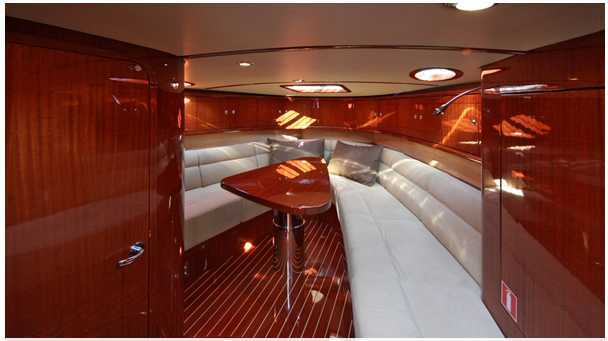 Aboard the J Craft Torpedo, fixtures and fittings are second to none. The Torpedo is equipped with a hand carved wooden Nardi steering wheel the same as that used in the 1960s Ferraris, including the 250 GTO. Infinitely tailorable, the J Craft can be finished in any upholstery in any colour combination, from Loro Piana cloth treated with the Rain System to repel stains to diamond stitching. Each area of the J Craft Torpedo can be individually customised for specific tastes and cruising lifestyle. An exclusive picnic set featuring silver cutlery designed by Prince Carl Phillip of Sweden, J Craft china by Rosenthal, J Craft glassware, a Global knife set, sommelier set and exclusive luggage set are also available. Based in Gotland, Sweden, J Craft hand builds classically styled yet inherently modern luxury motor launches in the best traditions of the Swedish boat building industry. A distinctive style, fine craftsmanship and exquisite materials coupled with robust engineering, real-world usability and a true ability to be customised sets J Craft apart from all others. Innovation and experimentation are at the heart of J Craft. Driven a genuine pursuit of perfection, instilled by the design team and naval architects, the company has an enduring commitment to exceptional engineering, style and service. J Craft and iconic Rolls Royce Motor Cars have partnered on a unique collaboration: the first bespoke pairing of a Torpedo R and a Phantom Drophead Coupe. The pair will be perfectly matched, down to the finest detail. Flawlessly colour-matched paintwork, interior fabrics and detailing will call the duo out as a pair. Uniquely, J Craft will depart from its usual mahogany and incorporate the exotic straight grained Santos Palisander wood finish, mirroring that used throughout the interior of its corresponding Coupe. 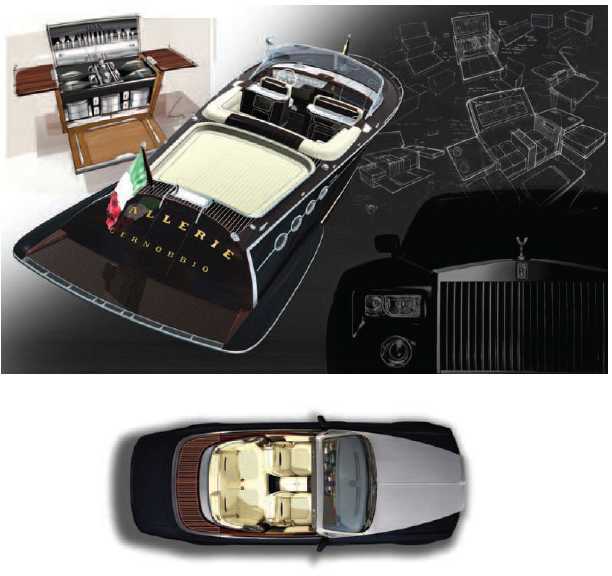 The Drophead’s tonneau cover will be finished in the same veneer, delivering a seamless match. Other features include satin finish metal of the bonnet, the innovative Z-box humidor, and the incredible 21st century picnic box that can be transported from car to boat and provide for glamorous outdoor feasting for four people. You demand excellence. You value simplicity. You know the feel of perfection, the way the throttle responds to your touch and the way the handcrafted Nardi wheel moulds to your hand. It isn’t just about looking good, it’s about being genuine; it’s about the craftsmanship poured into every build, the mahogany finish, the bespoke details created just for you. To you, quality must be inherent; style must have substance. To you, it’s about living in the moment, it’s about arriving in style…no matter where you go. La dolce vita – a phrase often used, but seldom justified. But J Craft owners follow their passions; they choose to share their pleasures and their love of life. Passion is at the centre of what we are. Every element of a J Craft, every element of the ownership experience, is inspired by it. Taking ownership of a Torpedo is to become part of the J Craft family. In a very real sense, every boat is born out of the passions of a small, dedicated group of people who have nursed each boat from its conception to its glorious present. 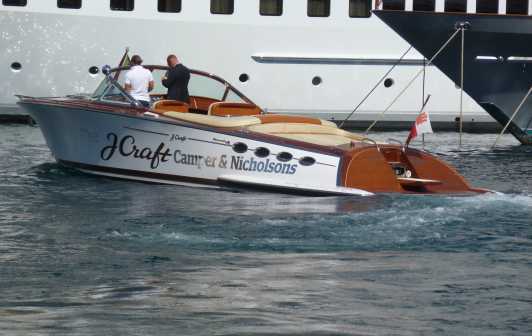 A new owner becomes part of the J Craft story – part of something far greater than the sum of its parts. We invite you to join us on this beautiful journey; to experience la dolce vita. J Craft works closely with each client to ensure that every J Craft is tailored to their exact requirements. As a result, no two J Crafts are the same. The unique and individual nature of the wood veneers alone guarantees this fact. Each is a unique expression of an individual, their desires and aspirations. The Torpedo is an infinitely tailorable vessel — from powertrains to on board technology, to the smallest customised detail. From unique colours and materials, bespoke luggage and 2,000-watt music systems to designs requiring significant structural modifications, with a J Craft, the only limit is that of the client’s imagination. © Chic and Style Limited 2000 - 14. All rights reserved.